New BMW X5 driven at its international launch in the USA. 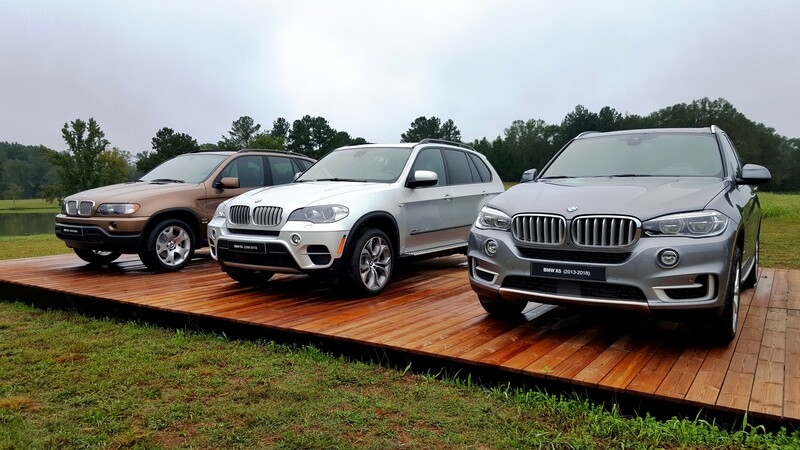 Double Apex was fortunate enough to attend the recent international ride and drive event of the new BMW X5 in the USA. We report back on the new model here. BMW remains one of the most profitable motor companies in the world. In part, its success is driven by being able to forecast new trends in the automotive space. Being first to market helps the brand to capitalise while its rivals play catch up. One can see this strategy at play with its X5. Launched in 1999 the very first X5 was an SUV-like vehicle. 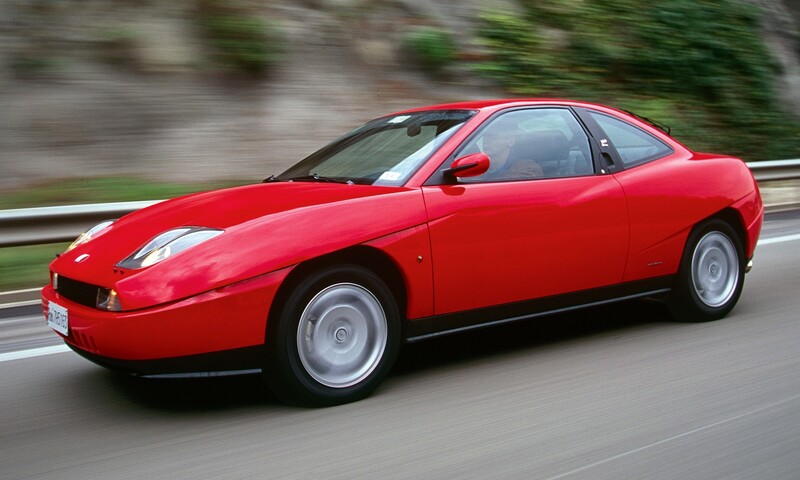 But, unlike many competitors, it had the ride and handling qualities of a sedan and did away with off-roading hardware. From day one BMW termed its offering a Sports Activity Vehicle (SAV) rather than SUV. The recipe worked and from the launch of the first generation through the end of the third, over 2,2 million units were sold worldwide. BMW had stolen a march on its main competition. In Atlanta Georgia, home of Coca-Cola and CNN, BMW assembled members from the worldwide automotive press corps to sample the fourth generation X5 first hand. From an aesthetic viewpoint, the newcomer is very much an X5. It retains the same proportions as its predecessors. BMW’s signature kidney grilles are quite pronounced on this car. Unlike its immediate predecessor, the styling lines of the latest generation are more pronounced and sharp. This is immediately evident on the head- and taillamps. If you wish you can add BMW’s Laserlight with Adaptive LED headlamps to the new X5, for a total viewing range of 500 m. The taillamps are slim units, with a three-dimensional appearance, that are quite wide to emphasise the width of the car. Speaking of width… the new car is larger is size. Its length has increased by 36 mm to 4 922, width is up by 66 mm to 2 004 mm and it is 19 mm taller at 1 745 mm. The wheelbase has been extended by 42 mm to 2 975. To differentiate your X5 from others on the school run you can fit a pre-selected BMW xLine or M Sport line styling package along with items from BMW Individual including, for the first time, 22-inch alloys. New BMW 3 Series info here. The outside looks have been refreshed somewhat, but the interior has been completely overhauled. Inside one can expect a high-tech feast for the senses. First up, the facia is dominated by two full-colour screens. In front of the driver is a revised cluster of information that can be tailored to suit one’s mood. Mod-looking wrap-around rev-counter and speedo could be straight out of a video game. The centre screen features BMW’s latest 7.0 operating system. Incidentally, X5 is the first model to be launched with this OS. The touchscreen interface can be configured to display the info you wish to see. Quick access tabs are listed down the edge of the screen for convenience. As is typical of such a model, there is a host of optional extras, too many to go into here. Some worth mentioning include the seat massage functionality, though electric adjustment is standard for the front chairs. A panoramic roof can be fitted with 15 000 LED colour lights to display a variety of patterns at night. 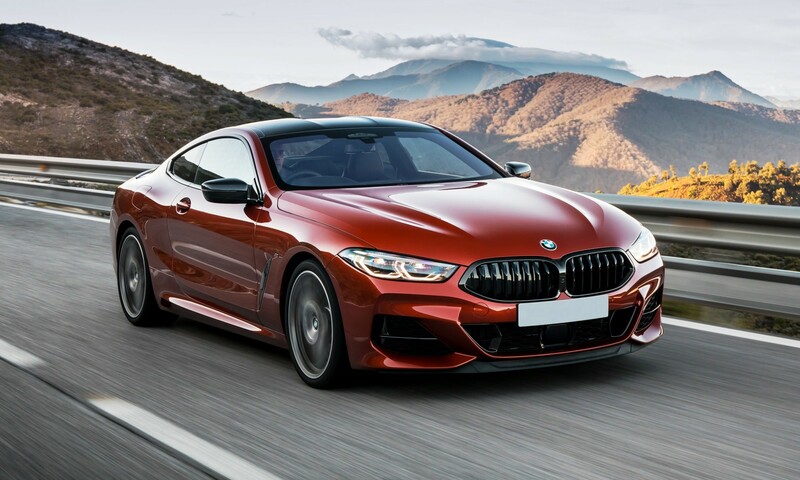 Then there is the full suite of BMW’s Connected Drive systems, which can now be synched with one’s calendar and integrated with live traffic data to suggest departure times for appointments. A raft of autonomous driving systems are also available, but not for SA. If you really need it, you can even have a pair of rear seats bringing seating capacity up to seven. 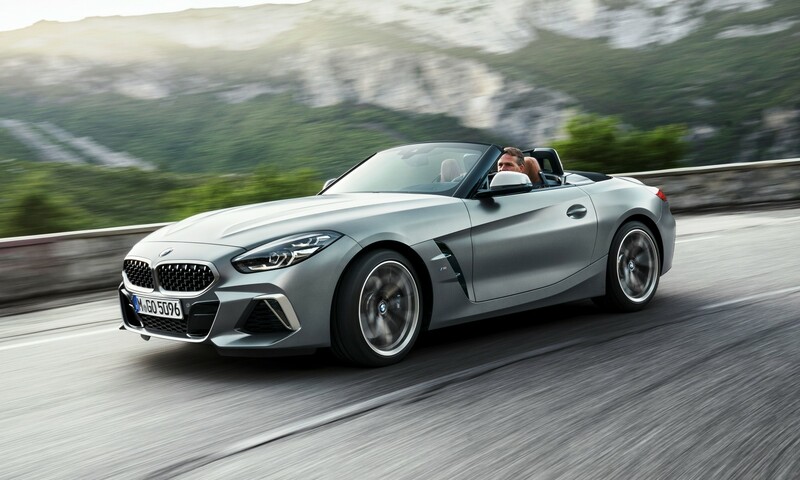 At the time of launch BMW will be offering four engine options. 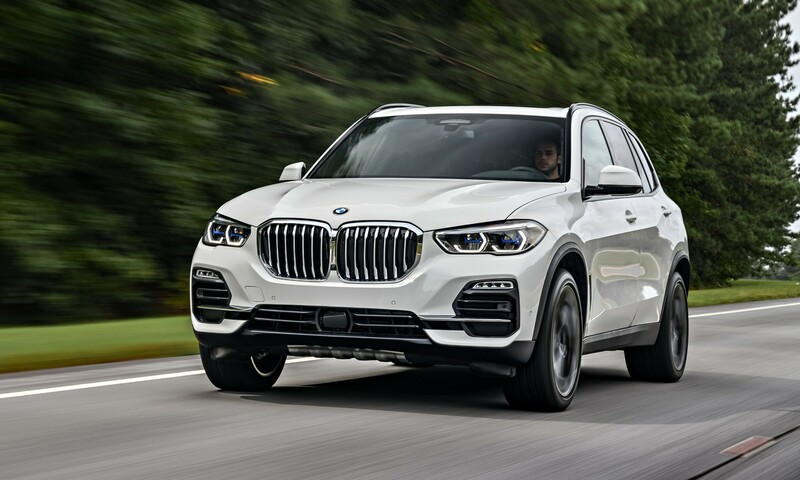 Two petrol variants: a newly developed V8 engine with 340 kW will be badged xDrive50i, and a six-cylinder inline petrol with 250 kW is dubbed the xDrive40i. Neither of these will be coming to SA. Instead, BMW SA has concentrated on turbodiesel options. 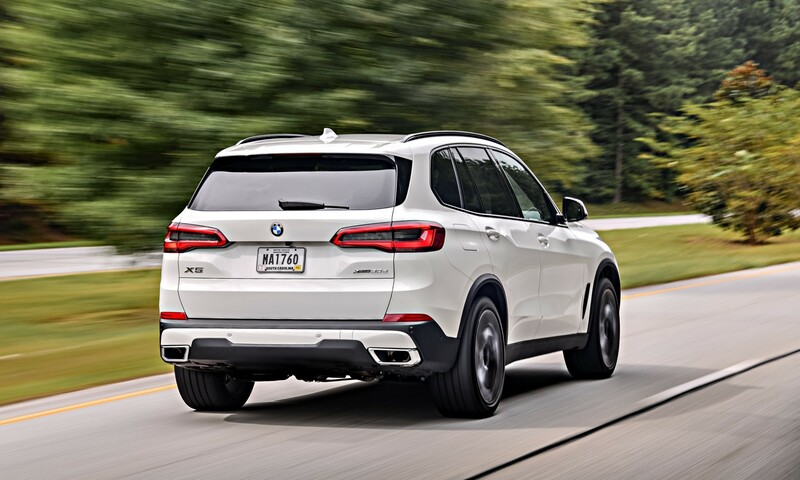 Two six-cylinder inline oil-burners are badged X5 M50d and xDrive30d. The M50d is a powerhouse boasting 294 kW with 760 N.m of torque thanks to quad turbochargers. The single-turbo 30d delivers 195 kW and 620 N.m.
At the international launch we kept our focus on the two models heading to SA. From our hotel in Atlanta’s swanky Buckhead district we made our way through morning traffic and headed south. On the relatively smooth motorways around Atlanta, and later on B-roads, the standard adaptive dampers were hardly bothered as ride quality remained smooth and pliant. The engine in the 30d, our chosen steed earlier on, proved to be punchy an more than quick enough in the Georgian countryside. With max torque available between 2 000 and 2 500 r/min, the standard (across all models) eight-speed transmission spent most of the time in a high gear. 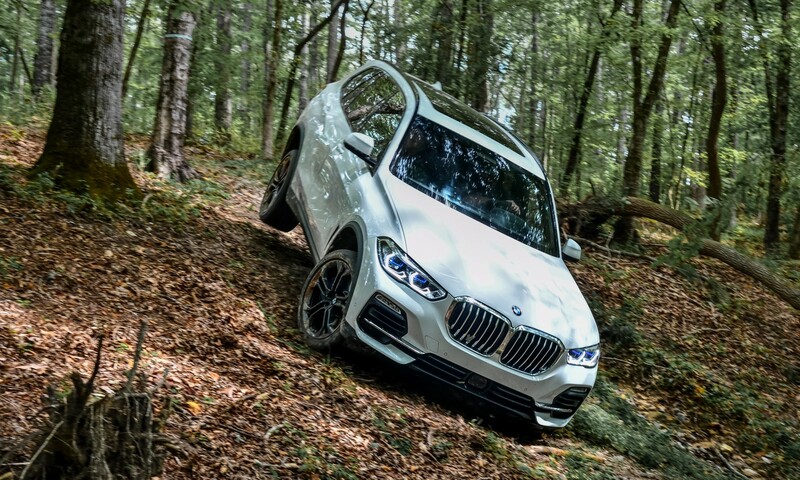 BMW is now offering an off-road package on the X5, for the first time, and part of the drive activity took place on a wooded farm in rural Georgia. The off-road package includes two-axle air suspension and underbody guards at the front and rear. A choice of four driving modes is available at the touch of a button. 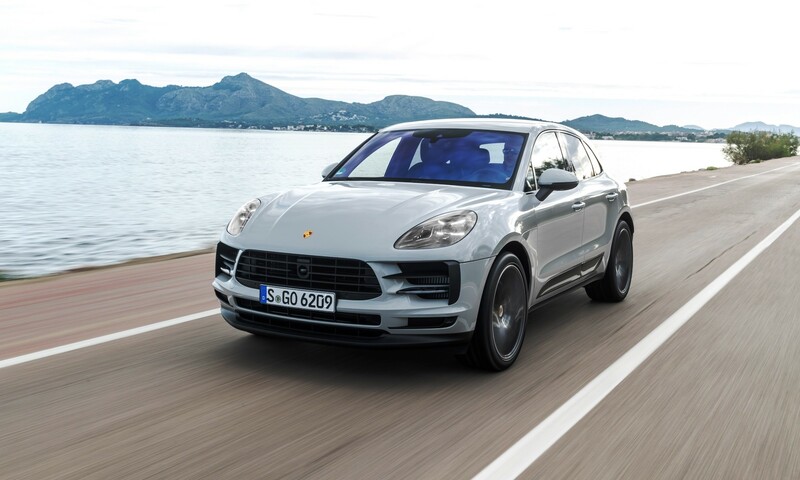 Ride height and the response of the all-wheel-drive system, DSC, the transmission and the accelerator are adjusted for driving on sand, rock, gravel or snow. Rain in the area meant that the off-road course was a bit tricky in places thanks to an accumulation of mud. With the off-road package and optional limited slip differential, the X5 handled the course with relative ease, despite being on road tyres. Up steep inclines, down muddy slopes and threading through heavily wooded narrow lanes the X5 wasn’t fazed. With an afternoon of bundu-bashing behind us we set off back to the city centre on a long a circuitous route that took us through ‘Middle America’. For the return journey we chose the more powerful M50d variant fitted with the optional M Sport kit and rear LSD. Most of our time was spent on rain-soaked roads. During the drive the surefootedness of the independent suspension and all-wheel drive was really appreciated. I was fortunate enough to get a section of road that was completely dry and wonderfully windy. The undulating road threaded through the heartland of Georgia taking us past countless small towns, churches and old trucks. When the road ahead was clear I had the chance to open the taps on the quad-turbo motor. The power delivery was quite linear from the multi-phased turbo set-up and with so much torque on tap you just ride the wave rather than rev the motor. The standard rear-drive bias along with the LSD made it quite an entertaining drive making the large SAV feel more like a hatchback than a two-ton behemoth. As with previous models, the new BMW X5 is an excellent vehicle. It walks the line between SUV and sedan probably as well, if not better than any of its rivals. 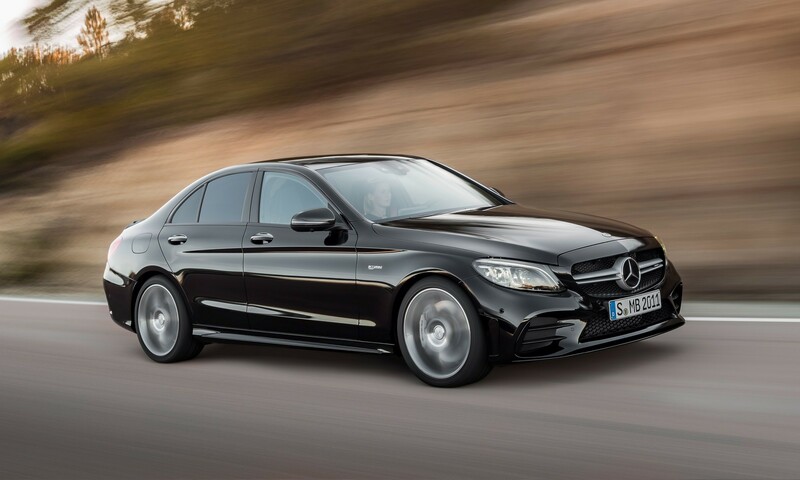 This new model has built on those hallmarks that made its predecessors an unmitigated sales success. 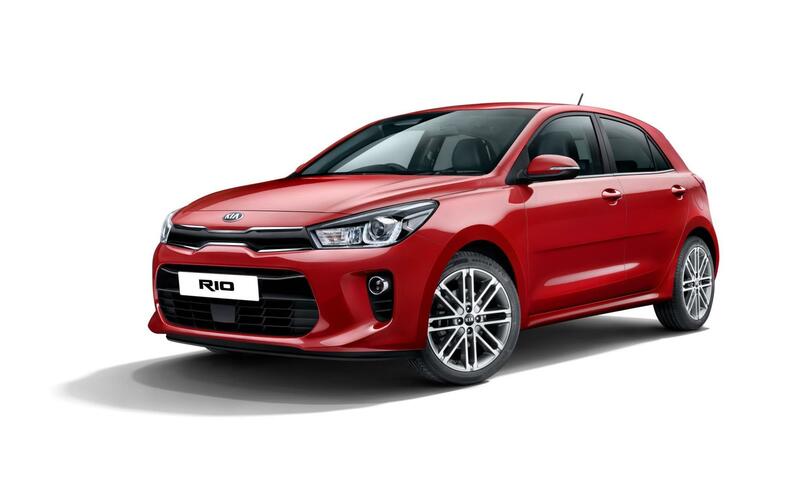 To this, it has added plenty of new technology, along with lots of optional extras, not least of all, the off-road package, which will open up ownership to a wider audience. As with any new model, prices have climbed and the new BMW X5 does not come cheap. The “entry-level” X30d costs R1 194 296 and the range-topper X5 M50d costs R1 502 581. If you are shopping in this category the X5 is a pretty darn good alternative. Configure your new X5 here.